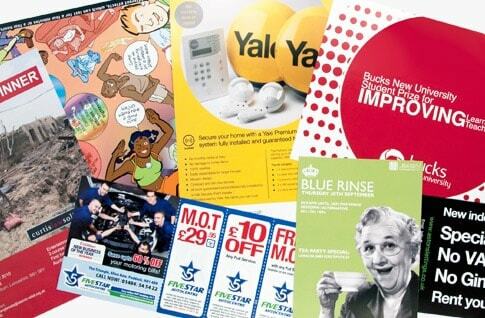 Our cost effective Leaflets are printed in full colour onto 170gsm Gloss or Silk paper, providing you with a high quality product to show off your eye catching design. So whatever it is you're promoting or sharing, you can be assured it will look its absolute best! You can choose from a variety of sizes; A6, DL, A5, A4 & A3 with single or double sided printing available. Typically used as handouts, for circulating with magazines or posting through letterboxes, etc. They are a great way of promoting your business, offer, event or service. As the name suggests Gloss will have a shiny appearance and Silk is more of a matt finish. If your Leaflet is to be used as a form or has any areas that need to be written on then we recommend Silk for this as Gloss can only be written on easily with a permanent pen. Is VAT applicable on Leaflets? Some products are subject to VAT depending on what is printed on them. For example, Leaflets are normally zero rated and by default our website does not add VAT to them, however, if they were to offer discount on a product or service, or there was an area to be filled in by the recipient, then VAT may be applicable, in this instance please get in touch. For further information please see the HM Revenue & Customs website. 1. Keep it clean! Don't clutter and ensure the main point of your Leaflet stands out above all. 2. Use a maximum of two different fonts that are easy to read. 4. Use colours, bold, bullets and images to draw attention to important elements of the design. 5. You only get one chance to make a first impression; have your artwork professionally designed.